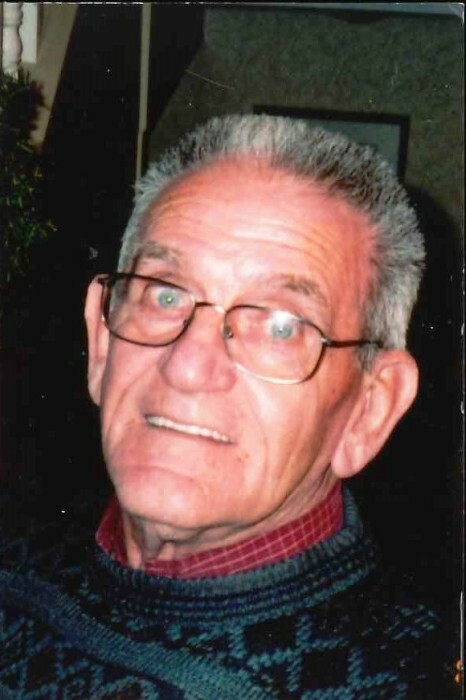 Robert Donley Lear, 90, of Hannibal, MO passed away at 11:50 a.m. Monday, March 25, 2019, at Beth Haven Nursing Home in Hannibal. Graveside service with full military honors provided by the Emmette J. Shields American Legion Post 55 will be held 11:00 a.m. Thursday, March 28, 2019, at Grand View Burial Park. Pastor Stacie Williams will officiate. Donley was born on November 27, 1928 in Bethel, MO the son of Andrew Perry and Flossie (Wilcox) Lear. He was united in marriage to Joyce Ann Walker of Hannibal on March 14, 1958. She survives him. Other survivors include two sons, Bruce Lear and Todd Lear and wife Ann of Hannibal, MO; son-in-law, Tim Muehring of Quincy, IL; three grandchildren, Destinee Lear of Hannibal, MO, Maggie Lear Bestgen and husband Nick of Jefferson City, MO, and Abbie Lear Boland and husband Justin of Hannibal, MO; two great grandchildren, Blaire and Beau Bestgen; sisters, Paulina Lear Scott and family of Hannibal, MO, and Doris Lear Deremiah and family of Rantoul; and extended family members of the Lear, Walker, and Muehring families. In addition to his parents, Mr. Lear was preceded in death by a daughter, Kimberly Lear Muehring, sister, Marge Lear Janes, and his in laws, Harold and Eva Minnick Walker. As a 1949 graduate of Hannibal High School, Donley enjoyed attending their class reunions and helping plan the events. While attending HHS his participation with team classmates during football and basketball season is still remembered. In 1950, he was called to serve in the U.S. Army during the Korean Conflict. He was awarded four medals for his service before returning home as a Sgt. 1st Class in 1953. His name and tour of duty is now recorded on the Veterans Wall in Grand View Burial Park. After his marriage and while raising his family, Donley worked as a carpenter and later as a construction foreman. He retired in 1995 after 35 years of employment with Bleigh Construction in Hannibal. After retirement, he enjoyed stopping by the intown Bleigh job sites. He always kept his hardhat handy – should it be needed just like old times when he was still on the job site! Later he would work part time for Martin’s True Value. He seemed to know most everyone in town by name and always enjoyed the conversations. Many local homes, businesses, churches, and schools will display the “special touch” of his building talents within their walls for many years to come. He was a member of Arch United Methodist Church, a charter member of the HHS Booster Club, past member of the Hannibal Elks Lodge, Emmette J. Shields American Legion Post No. 55 and the Carpenters Union Local 607. With great memories, pallbearers will be Tracey Scott, Brian Scott, Bud Janes, Donnie Deremiah, Tim Muehring, Nick Bestgen and Justin Boland. Memorial contributions may be made to the HHS Booster Club, Arch United Methodist Church, or the NEMO Humane Society, in care of the Smith Funeral Home & Chapel.